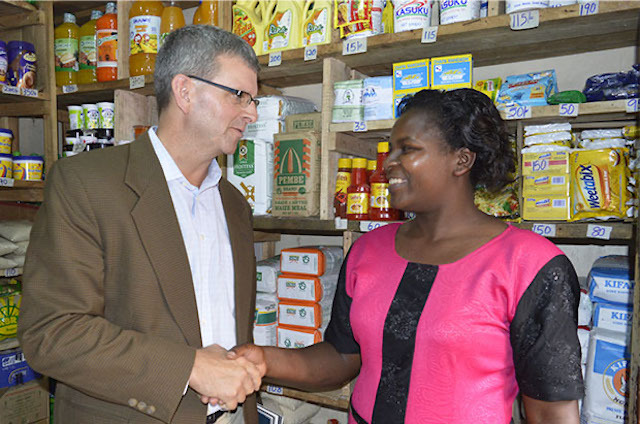 William Warshauer talks business with Jennifer Waruini, a shop owner in Nairobi and a participant in TechnoServe's Smart Duka program, which helps shopkeepers improve their business skills and increase their revenue. It’s easy to feel discouraged these days about international development. The new US administration has proposed cutting the foreign aid budget by nearly a third and eliminating certain programmes. Even if the US Congress manages to salvage some of these funds, the fight against global poverty seems at risk of losing momentum.